Georgette Heyer Birthday Bash Celebration with Laura Wallace & Sourcebooks! Queue the paper streamers and party hats – today, Tuesday August 16th, is Georgette Heyer’s 109th birthday! We are celebrating the Queen of Regency Romance in style with a great guest blog from our resident Heyer enthusiast Laura Wallace and a ton of fabulous giveaways from Sourcebooks. So put on your best party frock and dancing slippers and let the merriment begin! When I was about twelve years old, I received a mysterious box for Christmas from one of my aunts. It was an ordinary flat shirt box, but it was heavy. I opened it to find a rather tattered collection of paperback books. The spines were broken, the pages dog-eared, the covers occasionally torn, and the pictures on the covers were of rather dreadful-looking females in high-waisted dresses in atrocious colors with ´60s hairstyles. With many years´ hindsight looking back, I was not, perhaps, quite as enthusiastic as I ought to have been. But I wasn´t at all disappointed. I was a great reader, and while I hadn´t yet discovered Jane Austen, I had discovered Victoria Holt and similar gothic novels (in the quaint, mid-20th century sense of the word) which would today probably be marketed as young adult fiction. So I was not at all daunted by this large box of what appeared to be historical fiction. This was, it turned out, my aunt´s well-loved Georgette Heyer collection, which she was passing along to me. I don´t remember what she said. I don´t remember which novel I read first, or how long it took me to get around to it. I don´t remember much about them, except that once, a few years later, I went searching through my Heyer books looking for the one about Catherine Morland, who was duped by that jerk John Thorpe who drove off with her when she had promised to take a walk with her friend Miss Tilney and her brother, and hurt their feelings. I never did find it, until I read all of Austen´s novels (some of them for the first time) many years later when I made the acquaintance of Colin Firth´s Mr. Darcy. But by the time I graduated from high school, I was devoted to Georgette Heyer. I still have all those old paperbacks, which are now truly falling apart. I never passed them along to my own niece because she was uninterested. (She eventually returned most of the ones I tried to give to her, including Heyer, Austen, and Holt-I guess I impressed on her too much how precious they were to me.) A few of them are still on my shelf as my only copy of that particular novel, though most have been replaced. The rest are in a protective box. Later, on something called BITNET, I discovered both Austen-L and the Georgette Heyer Mailing List, the latter of which was run by Eileen Kendall. There I found like-minded readers who loved these authors and whose discussions of their books enriched my enjoyment and appreciation of them. Although I love many other authors, I have never found any to equal their elegance of prose, gentle manners, and exquisite settings. Both Austen and Heyer literally changed the way I feel about words and about literature, and even about the world. Reading them makes me want to write novels. (I am still attempting to do so.) Reading them makes me study history and even genealogy. Reading them makes me collect books about Regency England and much of the preceding and following centuries. It makes me spend hours studying in academic libraries, and sometimes makes me wish I´d majored in history, or gone back to school for a Ph.D. in history. It makes want to write biographies of Regency-era people as well as novels. It certainly was the genesis for my website on the British system of noble titles. Reading Austen and Heyer led even to my falling in love with the portraiture of Sir Thomas Lawrence, which I collect avidly in electronic images, books, and prints, and to the study of other portrait artists of the eighteenth and nineteenth centuries, and to the study of costume. It placed Beethoven and Mozart in a particular context and enriches my enjoyment of both playing and listening to them, as well as seeking out other composers of the era (and I was a music major, so I didn´t exactly lack context for them). I could go on, but I think you get the picture! 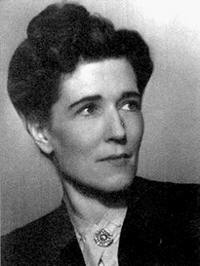 So, to celebrate Georgette Heyer´s birthday, I give thanks for her life and for her work, which gives me so much pleasure so frequently, and impacts my own world almost every day. I know there are others like me among her legions of fans who value her work for all the reasons she herself valued it: for the meticulous research, the exquisite language, the wit and humour, the memorable characters, and the wonderful world she created that we can go back to again and again, always certain to find something beautifully wrought and something that is new. And most of all, perhaps, always certain to find pleasure and inspiration. Happy Birthday, Miss Heyer! Laura A. Wallace, is a musician, attorney, and writer living in Southeast Texas. She is a devotee of Jane Austen and Georgette Heyer and is the author of British Titles of Nobility: An Introduction and Primer to the Peerage (1998). Thanks for sharing your thoughts on Heyer Laura. We all have our own personal Georgette Heyer stories, or you should have if you have not discovered this great author yet. Enter a chance to win one of the three Heyer ‘Novel Packs’ that have been generously donated by Sourcebooks. Share your favorite Georgette Heyer story with us such as: Who recommended her to you? What was the first novel you read? Which novel is your favorite? Who is the most swoon worthy hero? To qualify, leave a comment by midnight PT, Wednesday August 24th. Winners to be announced on Thursday, August 25th. Shipment to the US and Canada only. Good luck to all. Remember – in celebration of Georgette Heyer’s birthday, Sourcebooks is also offering all 46 of the Heyer’s books that they publish in eBook format for $1.99 from August 15-August 21 ONLY. Stock up. These great prices may never happen again. I came to Georgette Heyer relatively late in life. When I was in high school I worked part time at the local library. Georgette Heyer’s books were on the library shelf, but I wouldn’t have dreamed of reading one! Only middle-aged housewives read those kinds of books. I, on the other hand, was reading James Joyce, Virginia Woolf … well, you get the picture. Then the years flew by and I began to more closely resemble a middle-aged housewife than a college-bound teenager. But I am still good friends with someone from those years who just happens to be a great fan of Georgette. One day we were discussing books and she insisted that I must – MUST! – read “Sylvester, or the Wicked Uncle.” I think fans of Georgette can guess what happened next. I first heard about Georgette Heyer on this blog actually. When I read the rave reviews Laurel Ann gave her, I checked at my local library to see if they carried any of her books. Alas, they only carried one, Charity Girl. But I loved it! And after reading almost a dozen of Heyer’s novels, I’m definitely a fan. How jealous I am of your gift from your aunt, Laura, I had to resort to ‘borrowing’ mine from my mother. I remember being sick with the flu when I was about 14 and my mum bringing in a cup of tea and a rather battered copy of ‘The Grand Sophy’ and suggesting I try and read it. Of course I had it finished the same day, flu or not, it was so captivating. That old copy literally fell apart just a couple of years ago and was impossible to save. I think I shed real tears to see it go, I had read it so many times. It still remains my favourite Heyer, altho’ I love them all. I stumbled upon Heyer on accident. I picked up The Convienent Marriage and loved it. I’ve been reading Heyer every since. The Earl of Rule, in The Convienent Marriage, was pretty swoon worthy, I thought. I’m still new to Heyer and so I find something new to like everyday. I first heard of Georgette Heyer a couple of years ago on an Austen website–I’m not sure but it may have been this one. :) I think the first book I read was “A Lady of Quality”; it was either that or “Frederica” because they were the first two I bought. Since then I’ve read everything of hers that I could lay my hands on–I love her mysteries also. My favorite book currently is “The Reluctant Widow”. Who recommended her to you? I discovered Georgette Heyer on a neighboring website where readers recommended her works highly. What was the first novel you read? My first read was A Lady Of Quality and I was immediately hooked on Ms Heyer’s style. Which novel is your favorite? I’m reading Friday’s Child and I’m on p 200 of 300 and it is already my very favorite. This one has been a thrilling page-turner from the first sentence and I have no earthly idea how it is going to be resolved. Who is the most swoon-worthy hero? In my case “heroine.” That is like asking me what’s my favorite flavor of ice cream (?) ALL of them! However, I particularly loved the intelligent, decisive, and independent quality of The Grand Sophy and the Cinderella-like romance of the beautiful and sensible governess in The Nonesuch. Thanks for the opportunity to share….I’m going to read ALL of them eventually. I just got my first Heyer book. I was one of those that wanted just an Austen or a Bronte type book, an original. For some reason the way that she was described to me just put me off to her. The person made her sound like a copycat of Austen. Man was she ever wrong! Yes it is the same period but the style of writing is all her own. It wasn’t until I saw another friends review on Goodreads that I decided to give her a chance, and I am so glad I did. I now have a lot of catching up to do! Given that I can’t say I have a favorite until I have read more of them but that is a task I am happy to do! My favorite novel right now is Black Sheep because I love the ones with older heroines who are convinced they are on the shelf. And because of that Miles Calverleigh is my favorite hero. He’s just so dashing and I love how he pretends he is not going to help Abby discourage Fanny in her relationship, but behind the scenes he is hard at work because of his love for Abby. All in all I’m so grateful I found this blog because otherwise I would never have found Georgette Heyer. Happy birthday!! actually i’m brand new to Heyer having been introduced right here by you, LaurelAnn! and what a lovely gift you’ve given. this giveaway would be a wonderful gift as well and am thrilled such generosity is being offered! thankyou! it would be treasured. I don’t remember how I found out about Georgette Heyer, but I’m so happy I did. The Black Moth was the first book I read. I was introduced to Heyer by the excellent review of Bath Tangle on this blog. I have just started reading it and can’t believe that I didn’t discover these books before. My favorite memory of Georgette Heyer books is not about me reading them, but my mother. Growing up, every night my mother and I would sit in the living room reading and she would always read Georgette Heyer and laugh and laugh. Georgette Heyer will always remind of very comfortable and pleasant evenings in my childhood enjoying hearing my Mom laugh with her favorite author. I was introduced to Heyer by Austenprose. Thanks Laurel Ann! Arabella was the first book and so far the only Heyer book I have read. But I’m looking forward to reading more. Thanks for the great birthday celebration & giveaway! The first Heyer book I read was The Grand Sophy! I enjoyed it so much that I quickly ordered a few more Heyer novels online from a British bookseller. In my excitement – and confusion over the exchange rate – I ended up paying about $40 a book with shipping, taxes, etc. No matter, they are well loved and much borrowed. Recently, a friend who is the reference librarian at our main library, asked me to submit a “Beyond Jane Austen” book list for their summer reading program. I included some of Jane’s favorites (Burney, Cowper, & Richardson), some Elizabeth Gaskell works and of course my two Heyer favorites: Bath Tangle and A Civil Contract! I discovered Georgette Heyer as an 11 year-old when I had read my way through the children’s library and was looking in the adult section for something I might like. I suspect I was attracted by the book-jackets – they were all uniform with lovely vignettes (probably the Heinemann editions). I regarded them as historical adventure stories, in the same vein as Geoffrey Trease, and loved them – I devoured every single one! I was delighted to rediscover them about 10 years later, again in a library. I now own all of them except the historicals (e.g. An Infamous Army and Simon the Coldheart) and early contemporaries. It is difficult to pick favorites, but they include The Reluctant Widow, The Grand Sophy, Frederica, and The Talisman Ring. My most swoon-worthy heroes are in those novels (not a coincidence!) but I also have a soft spot for Captain Jack from The Tollgate and Major Hugh Darracott from The Unknown Ajax. Georgette Heyer made the 18th century live for me, and she is as accurate as an accademic historian in the period details which she conveys with a light hand, while telling stories with such good plots, characters and relationships, that one doesn’t realise how much information is being absorbed in passing! Laura, you captured perfectly my own response to Heyer’s books! I also found her by accident in the used book stores of the 1970s–all those Avon paperback editions. There are so many wonderful characters in her books. My favorites are Cotillion, but I think you appreciate it more if you have already read a number of Heyers and have the usual tropes under your belt, and The Unknown Ajax–the combination of humor and mystery make this a great read. After hearing so many wonderful things about Heyer’s work, from folks online I finally took the chance to read The Devil’s Cub(which reminded me of an Errol Flynn movie)and then later the Grand Sophy. What I love best about Heyer is the lively dialogue that her characters indulge in,especially in the Grand Sophy. The first Georgette Heyer book I read was These Old Shades, recommended by a co-worker at a bookstore I worked at. I loved it. For some reason, Heyer then slipped slightly under my radar as I finished university and my thesis until I rediscovered her when another friend gave me Black Sheep for Christmas. I was hooked. I looooved that story and Miles is certainly one of the most dashing heroes I have ever met. However, my absolute favourite is Venetia. I adore Venetia. I love the maturely preternatural kinship between Jasper and our dear Venetia. I loved her bright mind, winsome grace and steadfast heart. I loved their banter and that their timeless romance blossomed from friendship. But, most of all, I loved the heartbreakingly wonderful ending. (Not to mention the fabulous opening encounter that has kept readers giggling in delight for years). Georgette Heyer is the answer for all of us who finished reading the Jane Austen canon to shreds in our formative years. In a sea of pastiches and parodies, she is the closest to Austen we will find. Though I have dappled in her other historicals and her mysteries, it is her Regency fare I enjoy most and which, seemingly, most have been most enjoyable to her as well. Somebody please stop me! I simply MUST share my enthusiasm for Pistols For Two, an anthology of 11 short stories by Georgette Heyer. These priceless little gems are just chocked full of humor, romance, and surprise endings. I am happy to see that we have a guy that can appreciate books like this and not think it too “girly” to read them. We need more Jeffrey’s out there! I met Georgette Heyer because I’d run out of Jane Austen and her fanfiction to read. I noticed that the tables in my Barnes and Noble had a table of new paperback fiction books. I asked a bookseller and she said that if I was an Austen fan I’d probably really like Heyer, too. So, off I went with Friday’s Child and Cotillion. Once I entered into that world, I was hooked. I had noticed the Sourcebooks seemed to be bringing 1 or 2 out at a time but the spacing of them bringing them out wasn’t fast enough for me. I then learned how to use amazon.co.uk and began ordering them from there. Oh, and while I was in England 3 years ago I went looking at a boot sale and in any of the bookshops I could find. I completed my collection of her regency romances and read 2 of the war ones. Her mysteries didn’t interest me but the romances did. I learned new vocabulary with every book I read. I have British covers on about 1/2 of my Heyer books. The sad part is that everytime Sourcebooks comes out with a new one I want to buy it like it is a whole new book and I have to remind myself of my impatience to get them. I, too, am thankful for Georgette Heyer! I first heard of Georgette Heyer’s novels in the early ’80’s from a long-ago friend. I only started reading them about 4 or 5 years ago, because I just happened to read an author interview on another website. She had so much good to say (similar to what Laura has written, above), that I simply HAD to see what she was talking about. I’m VERY glad I did; I have spent MANY enjoyable hours reading her books! I don’t remember which one I started with. My favorite is The Grand Sophy, because of the monkey… I can’t resist a funny love story, and this one did me in! I also really like A Civil Contract, because it’s poignant, and not at all run-of-the-mill. But then, I should say that none of her books is run-of-the-mill, and that’s why I enjoy them so much! I’m also enjoying your posts about her, and what others have to say; thank you, Laurel Ann. Wow, I am surprised and touched by all these responses! (I realize most of you are posting for the giveaway, but still!) I was concerned that my post was a little too personal–me, me, me when it was supposed to be about Heyer–so I am glad it seems to have resonated. I am also grateful to learn that my few contributions to this blog have led other people to discover Georgette Heyer. What a great feeling! BTW I own all of her mysteries and love them too! I think they are better than Agatha Christie, though not as rich as Dorothy L. Sayers. I have read all of the moderns/suppressed/etc. though I don’t own them all (lucky enough to have a nearby public library that has them all, must have been another librarian fan of them there). I meant to mention that I own all the books in the lists, except one, so do not include my name in the giveaway, please. I was just responding because I REALLY enjoyed your posting, and I also REALLY enjoy Georgette Heyer, so thank you both! Hi Laura W: Oh quite contrare! I’ve gotten all of my Georgette Heyer books right from our very extensive public library so don’t actually desire any of her books offered here. (other offerings here? Of course!) I’m posting simply for the pure enjoyment of sharing my enthusiasm over the incomparable Ms Heyer. Some of her books from the library I’ve read are original Fawcett publications and are so brown and brittle they must be 50-60 years old. The first Heyer I read was Lady of Quality. My favorite thus far–and I’m nowhere near finishing all the novels–is Faro’s Daughter. I haven’t yet found a Heyer hero whom I love as much as Captain Wentworth. I am still baffled that with my love for Austen as well as my love for 60’s gothic and historical fiction novels of Victoria Holt/Jean Plaidy, Mary Stewart, and Anya Seton that I never encountered Georgette Heyer or her novels as a teenager. It wasn’t until I moved to Kewaunee and happened to be roaming through the local library that I finally discovered Heyer. I first read and loved Frederica and quickly read through the other Heyer books that the library had. Heyer was the subject of my very first blog post and my giddy discovery of her. Cotillion is one of my favorite Heyer novels so far. The novel surprised me by taking the story line in a different direction than I supposed. By the end, I realized that Heyer had subtly changed my mind about the characters and had brought about the conclusion that I may not have expected, but by that point really wanted. Cotillion also had wonderfully developed characters and great secondary characters and romances. I also must say, I LOVE used book stores and discovering old books at library sales . . . how did I never come across any old Heyer novels? It must be no one wanted to part with them! I started reading Georgette Heyer when Sally, a Janeite friend, absolutely insisted that she was NOT the typical Regency romance novelist and I would like her. I remember starting with The Grande Sophie and staying up all night to finish it. Needless to say, I love all her books! I recently heard a reading of Venetia wonderfully done by Richard Armitage. That’s my favorite new memory. My first and favorite is The Grand Sophy. My mom gave it to me years ago. I started collecting them from then on at used book stores and garage sales. The copies were old and ratty but well loved. I am so happy that Sourcebooks is reissuing them again. The covers are gorgeous! I haven’t read any of the mysteries so I ordered all of them yesterday. What a great sale! Oh these prize packs are lovely! I hadn’t discovered Heyer until in my 50’s…so sad. I checked one out from the library and have no idea why I did so. Sprig Muslin was my first and I loved it. So I tried Lady of Quality and I loved it. Which just kept spreading. I thought that Arabella or Frederica were my favorites but now I feel as one reader somewhere put it…whichever one you’re reading at the time seems to be your favorite. I love the witty dialogue. I’ve sense starting getting some of the mysteries to try out and have only just begun. My favorite hero I can’t narrow it down. However, the ones with more dialogue and witty lines are my favorite. I recently finished regency buck and The Grand sophy – I just loved her meddlesome ways. Perfect. Oh how I’d love to win any of these. I sure wish I had an ereader. I’d take sourcebooks up on it for sure. It all began with a broken computer which led to the purchase of a new laptop. On the laptop there was a link to an eReader bookstore which happened to offer a free download of Cotillion for a limited time. It has been years since I read Georgette Heyer in my high school days so I downloaded this one and thoroughly enjoyed it. In the two months since, I have re-read five more of her novels and plan to re-read them all. Ms. Heyer was an amazing story-teller. In addition to the main characters, I also like the minor ones such as Nicky and his dog Bouncer in The Reluctant Widow; and Horry’s brother Pelham and his friend, who racked their brains out trying to “help” her out of a scrape in The Convenient Marriage. It is such a lot of fun! So Happy 109th Birthday, Ms. Heyer! And a big Thank You!! Don’t count me in as I am overseas (sniff sniff) but I have always loved GH as far as I can remember. I must have been about 12 or 13 so cannot remember what was the first book I read. But my favourite has always been Sylvester! A good friend gave me a copy of The Grand Sophy for my birthday one year. I was in graduate school and bogged down with classwork, but I made time to read the novel because I love historical fiction. I loved the story and it is still my favorite Heyer by are. The same friend also gave me a copy of Persuasion, which was the first Jane Austen novel I read. I owe that friend a lot for introducing me to two great novelists. LOL, Danielle; thank you for your consideration! Laurel Ann, if you wouldn’t mind, perhaps you would put my name back in, and if I’m the winner, you will send the prize to Danielle? Such kindness certainly deserves extra effort, don’t you think? ;-) Thank you, kind lady! Years ago I came across a reissued Footsteps in the Dark in the mall’s bookstore. I bought it and loved it. I then read all her mysteries. But I didn’t read her romances until a few years ago. I still haven’t read all of them because I’m holding back on some to make the last longer. And others I’ve read several times especially in times of stress. My favorites are A Civil Contract and The Toll Gate. I haven’t read any of her novels but I’ll be sure to check some out.! The tweets of @heroinebook brought Heyer to my attention and I am so excited to dive in to one of her books. I have been reading and rereading the novels of Jane Austen for the past decade and am thrilled at the prospect of reads that might match those in wit and romance. I’m in the midst of moving and have promised myself that once the boxes are in the new house and my kids are asleep, I’m going to treat myself to some couch and reading time. Can’t wait! Reading all of the comments above has added to the excitement. I remember having heard her name before, mostly as a romance author, which had absolutely no interest for a largely Sci-fi and fantasy girl (with forays into classics via Austen and Mysteries). But I started reading other books that had more romance in it, and during a marked reading slump, I finally wandered into her tiny section in the public library and picked up Sylvester. I fell hard and made sure to bring others with me! I’m now working on collecting all of her books as well on my kindle. I first read The Masqueraders when I was a teenager in the 70’s. I was a voracious reader and had run out of my own things to read while at home during a winter break. At the time, my mom was on a Harlequin romance kick, and she had at least a dozen on the bookshelf. It was late, and I was bored, so I picked it up, thinking that it was one of Mom’s regular Harlequin’s and probably not very good. I was surprised to find that I really enjoyed it! I loved that they were a brother and sister masquerading as someone else. It really was a lot of fun! And Sir Anthony..yum! I think I was up most of the night! I haven’t read it again since, but I think your article has inspired me to find a copy and wait for another late night…..
My favorite Heyer is Devil’s Cub. The Grand Sophy was my first, but DC has my heart for being the book I stayed up all night to read, completely absorbed in the dynamic between the cool-headed but vulnerable Mary and hot-headed Vidal. Friday’s Child is another favorite, as it made me laugh, and currently I’m reading The Reluctant Widow, which I’m enjoying a lot. Thank you for the lovely post, Laura! I first heard about Georgette Heyer on the author Sarah Rees Brennan’s blog. She wrote a short movie-esque summary of Cotillion which I found hilarious. I went out the next day and bought a copy. Although it was exam week for me at school, I bought a copy of Venetia next and then Frederica and so on. I was a Georgette Heyer addict, very very quickly. I find it hard to pick a favorite, but I adore so much of Venetia. It has some faults that I stumble over though, so I would probably say that my favorite is The Corinthian. Thank you for the fantastic post and the chance to win! Oh, I love Georgette Heyer. I actually stumbled across her because of a blurb on another book: I was reading a Patricia Veryan novel, where the blurb called her the princess of Regency Romance, compared to Georgette Heyer as the Queen of Regency Romance, or something like that. Having read all the Veryan novels the library had (an appalling few), I decided to move on to Georgette Heyer. I don’t even remember which was first, just that I fell in love with her. I love her arranged marriage stories–The Convenient Marriage is my favorite. :) But they are all wonderful. I just wish her modern novels were more readily available, even if she didn’t like them. I have yet to read any of her books though I have several on my tbr list. I think this is a great giveaway and would love to win any of the prize packs so I can start reading some of her books. Please enter me in this giveaway. This is going to sound really, really bad, but… *deep breath* … I, Chelsea B., have never read a Georgette Heyer book. *Gasps! All-around! * I know! I’m sorry! I will fix it; promise! Who recommended her to you? I found a novel on my own at a second-hand bookstore on a rainy day in summer. What was your first novel? The novel that I bought was “Venetia”, one of the more interesting books because it takes place in the country and London. Which is your favorite? “Venetia” remains my favorite because of the realistic characters, the charming dialog, the accurate descriptions of scenes, and the transformation of a devilish rake, Lord Demerel, to a charming and sensitive man worthy of the virginal Venetia. Who is the most swoon-worthy hero? I will say Lord Demeral because he is handsome, has had many lovers, is well-read and intelligent and has a sense of humor. He goes to great lengths to keep Venetia’s reputation in tact as he woos her. Of all the Heyer novels, this is one that I tend to re-read the most. Thank you for the opportunity to win a prize that I would cherish. The novels would be great company for me as I recover from upcoming surgery. I first discovered Georgette Heyer thanks to Laurel Ann’s reviews here on Austenprose. And thank goodness because Heyer is one of the few authors I’ve come across where I’ve enjoyed every single one of her book that I’ve read so far. Arabella was my first, and Friday’s Child and A Civil Contract are my favorites. My first introduction to Georgette Heyer was at the age of around 14 when she lent me Friday’s Child and I was enthralled. I built up the whole oevre, read them till they fell apart, and then gave tmeall all away. Silly me, that meant i had to go without for years until they started to be repiblished when i bought them all again! I have now introduced both my daughters and my son’s girlfriend to the pleasure. Whenever my youngest girl goes on a long journey she takes with her the book she is currently reading, the book she intends to read next, a book to impress people (eg War and Peace) and always always a Georgette Heyer for solace when needed. I read Jane Austen first and then mourned because there were no more Jane Austen novels to read. While living in Greece where I scrounged for English language books in used book stores, I stumbled upon a Georgette Heyer book and I was hooked. I have slowly acquired most of her books in paperbacks over the years as I continue to comb charity shops, second hand book stores, etc. I don’t know who I’ll eventually pass them on to, but I hope I’ll find a niece, grandniece or granddaughter who will have a love for elegant language and manners. I once had all Georgette Heyer’s historical novels in paperback, but I moved so frequently that I now have only a few left. I remember loving The Black Moth which was her first novel I believe — not a Regency but a Georgian novel with an anti-hero. But I think I read The Corinthian first. I have a big interest in costume. so I appreciate her vivid descriptions of what people wore and their hair styles. Especially the men — I learned all about the Regency dandy– the names for their hairstyles and elaborately arranged neck cloths. Delightful comedies of manners. GH shares a birthday with the great ballerina Suzanne Farrell. I discovered her by reading a review on here, and I’ve been addicted ever since. This is an amazing giveaway–great job! As soon as I heard her compared to Jane Austen, I knew I had to make room on my bookshelves! I’ve got several in my to be read stack…but my favorite is Regency Buck! I loved A Civil Contract, but have not been able to find any mention of it at Amazon. Is it available in the US? I also wish GH’s short story collection, Pistols for Two were available. I was introduced to GH’s books (The Masqueraders was first) by a friend when my paassport was lost abroad and I had to wait for a replacement. The book was in the small library of the hostel where I stayed and was a great distraction from what seemed a terrable situation. It comforted me no end. Wow, 60 comments!! Thank you, everyone! Monica, _A Civil Contract_ is available on Amazon for pre-order, with a release date of November 1st. That’s for the Sourcebook edition, of course. There are many earlier printings available used. A coworker tried to get me to read Heyer a few years ago, but the plot she described (The Devil’s Cub) didn’t appeal to me. Then last summer I stumbled upon the Austenprose Heyer event. I read all the reviews and synopses and was particularly taken by Laurel Ann’s ravings over the audio of The Convenient Marriage. I had a long car ride coming up; this book seemed perfect. That’s how I found Heyer. I’ve read several since, and I snagged 6 or so last week in the sale. I remember so well my first GH. I was about 12 and was off school with German measles bored out of my skull. My sister worked in the local library and brought me back some books she had scooped up. Amongst them was an old Pan paperback (I can still see the cover now) of The Talisman Ring. Started to read and that was it. When my sister went to work the next day she was under strict instructions to bring back as many as she could and she came back with six. That was it – I was off! My favourite is A Civil Contract. Not the most grab you of her works, no super alpha hero and heroine but it is a lovely quiet book which grows on you and I re-read it every year and never tire of it. Ah now the hero – so much to choose from. I adore Rule in the Convenient Marriage, and Damarel in Venetia is a close second, but I think I have to go for Vidal in Devil’s Cub. I was passinately in love with him all through my teenage years and now many moons later I still feel a twinge when I read that book again. I adore GH and have blogged about her over on Random Jottings. I can never recommend her too highly and htose of you out there who still have unread novels of hers, oh how I envy you the first joy of discovery! Thanks for the giveaway! My first Heyer was Lady of Quality recommended by you Laurel. I throughly enjoyed the book and look forward to reading other Heyers. I found Heyer after becoming a Janite. First the library supplied the books for me and now I keep a few on my Kindle at all times. You just never know when you are going to have a chance to stop and read a good gothic novel. “Cotillion” is my latest download waiting for me to find a time to curl up with a good read. I adore Georgette Heyer! My sentimental favorite is probably Frederica, since that was my first Heyer read, but to date my favorite hero is Sylvester! Yay! I’m not too late! I’m a newbie Heyer fan. I read some reviews and thought she sounded awesome! I’ve only read These Old Shades and loved it :) I can NOT wait to read more! I was introduced to Georgette Heyer by a very kind landlady. I was student teaching in Jamestown, SD in 1974. I had no TV but loved reading. My landlady kept me busy that quarter with many great Heyer reads. The first one was “The Grand Sophy” which is still my favorite. I love that the books are available again and I am enjoying getting re-acquainted these past few years.